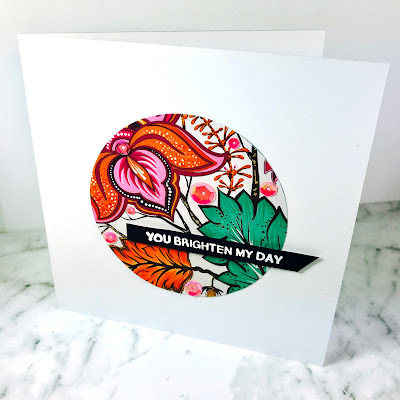 I love shaker cards, they are so much fun to make and I'm sure that they are a lot of fun to receive too. I think Kaisercraft's bright and colourful 'Bombay sunset' collection is great for fun cards like these! I also made another card (a very simplistic card) with the leftover cutouts from the shaker card. For the shaker card I used a 5 1/2 x 5 1/2 inch black note card for the base of the card. I cut out a 5 x 5 inch square from some patterned paper and then die-cut a circle from the centre of it. 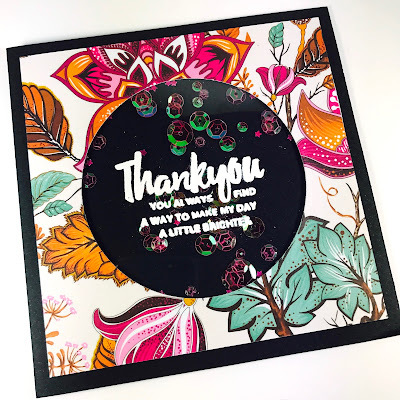 To create the shaker window I used a piece of heat resistant acetate and heat embossed a sentiment using versamark ink and white embossing powder. Then I cut the acetate into a circle and then adhered it to the patterned paper with the circle cut out. For the shaker part of this card I used pink iridescent circle and star sequins. To put the card together I put the sequins in the centre of the black note card then added some foam tape to the back of the pattern paper (especially around the window cut out to create a barrier so that the sequins couldn't fall out) and then stuck it onto the card base. I will definitely make a much clearer step-by-step tutorial of how I make my shaker cards in the near future. I keep my scraps from the projects I make because usually they can be used for another project, in this case I used the circle cut out and scrap pieces of black card stock to make another card. This particular card is very easy to make, all you need to do is adhere the circle to the centre of the square note card (5 1/2 x 5 1/2 inch) and add a sentiment on a strip of paper. For this card I decided to use a black strip of paper and heat emboss a white sentiment. To add some interest I adhered some sequins (these are the same sequins I used for my shaker card). 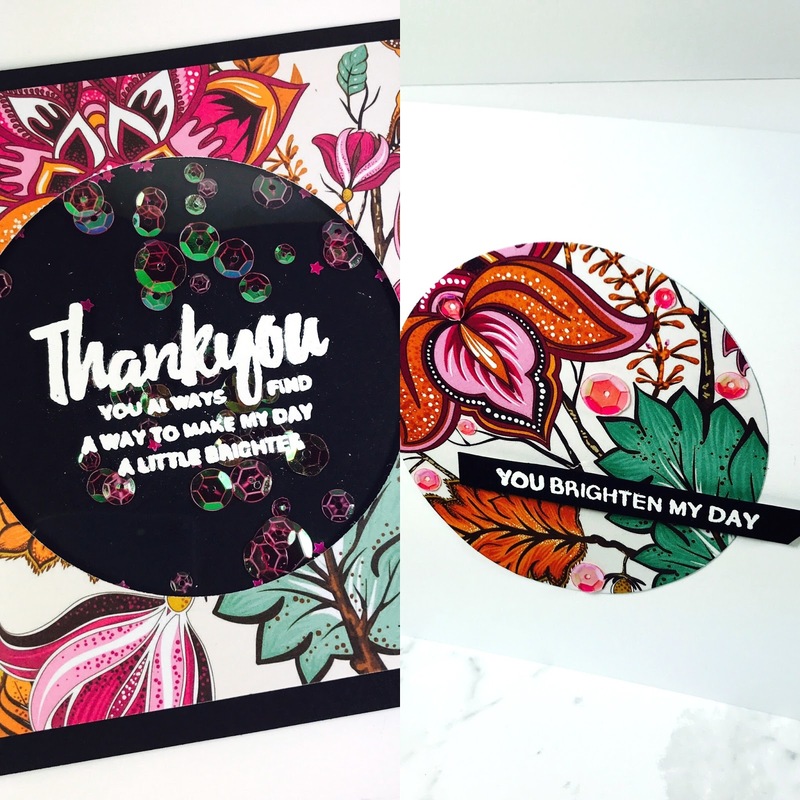 I hope these cards inspire you to create some shaker cards as well as use up any scraps of patterned paper you may have lying around! Happy papercrafting!